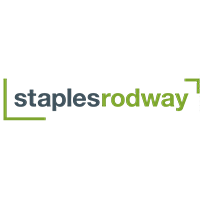 Staples Rodway is a New Zealand-wide network of accountancy and business advisory firms providing practical, responsive, and business-focussed services to a broad range of clients from start-ups to significant businesses across all industry types. We possess top-tier skills, experience and clients but our independence means we can operate leanly and efficiently to provide excellent value. We adopt the best of modern technology to simplify the compliance process so that you can use our in-depth knowledge in local, national and international markets to get the most out of your business, at whatever stage you are at in your business life cycle.